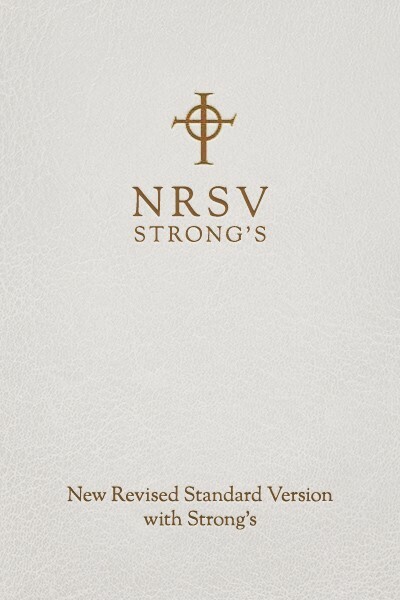 Olive Tree's New Revised Standard Version Strong's Bible brings the ease of one-touch Strong's lookup to the well-respected NRSV translation. Deepen your understanding of how the NRSV conveys the meaning of the original Greek or Hebrew with no knowledge of those languages required. The powerful yet intuitive interface brings easy access to the original word and its definition and enables easy exploration of all the ways the word is translated elsewhere in Scripture. This robust search capability gives you the virtual equivalent of Greek and Hebrew concordances with your NRSV and provides easy interaction with other Greek and Hebrew dictionaries that you may already have in your Olive Tree library. The translators of the New Revised Standard Version (NRSV) have incorporated into the NRSV the recent discovery of older biblical manuscripts that were not available to the earlier translators of the RSV, the precursor to the NRSV. Examining the linguistic features of the text in more depth, they based their work on the maxim, “As literal as possible, as free as necessary.” The translators’ desire was to preserve what is best in previous English translations while producing a new one of high quality and enhanced accuracy. Upgrade Pricing Available! If you've previously purchased the NRSV or any Olive Tree collection or bundle that contains it, you can purchase this item for a special upgrade price. The upgrade price will be visible when you log in to your Olive Tree account and add the item to your cart (NOTE: Upgrade pricing is only available on www.olivetree.com, and not via in-app purchase).